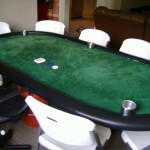 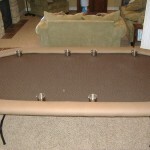 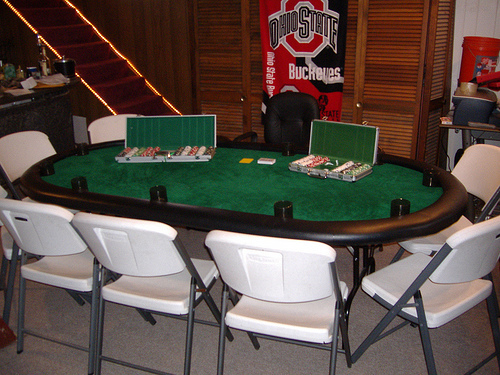 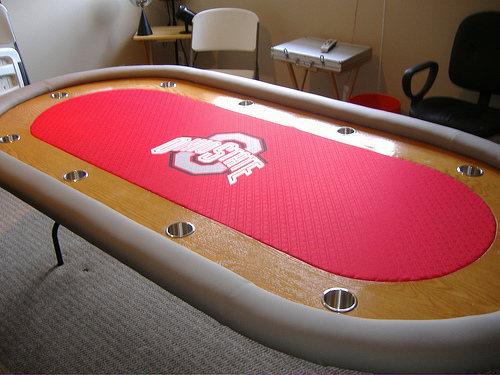 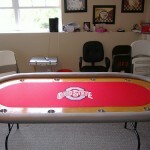 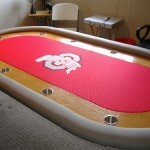 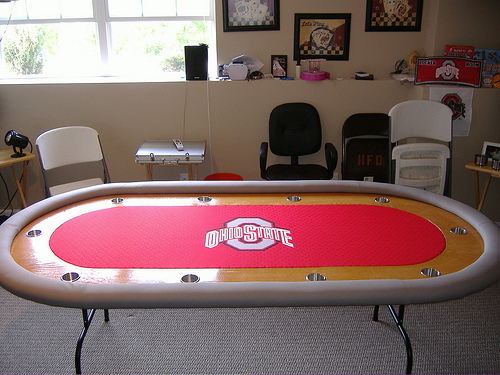 If you are looking for a poker table, look no further! 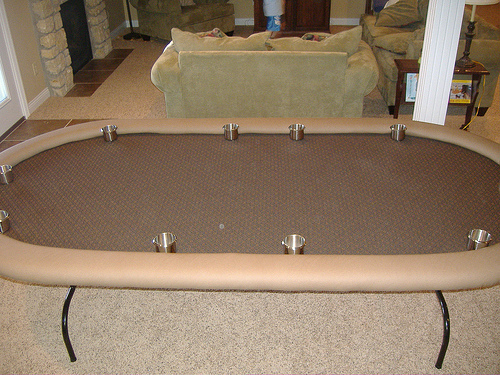 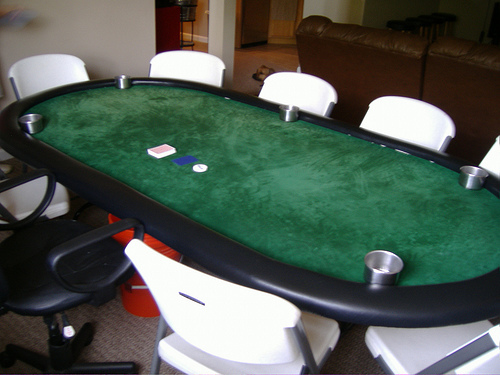 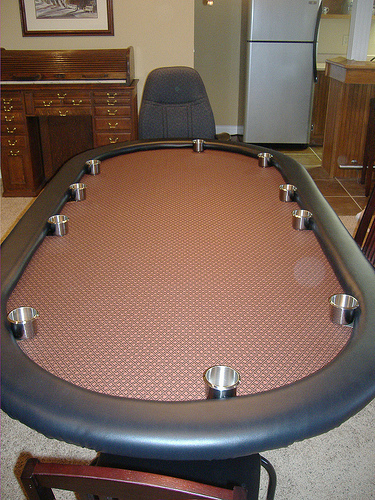 With over 100 patterns of poker felt to choose from, 30 different arm rail options, 2 different drop-in drink holders, 4 different slide under drink holders, and 10 different sets of legs, our poker tables allow you to personalize and pimp your table. 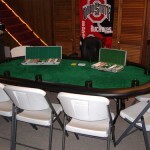 Please look below and view our portfolio of some table options and call today to place your order! 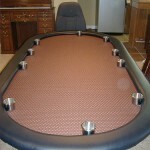 Click to enlarge poker table images.